I have been putting words on screen for Wishpond since 2013. For me, it goes without saying that content marketing is valuable. It justifies my salary, after all. But for many businesses it's not so clear-cut. But those don't convince your boss – not really. This article will break down the value of content marketing for any industry and any business. Why, really, should you invest in content marketing? Here's the nitty-gritty of content marketing: The more you create content, the more indexed pages there are associated with your site. The more indexed pages, the more links. The more links, the better you'll rank in search results. Key Point: This is why companies that blog have 55% more visitors than companies that don't. So that's the "awareness" element of the value of content marketing. But what about quality? There's a reason that I'm writing an article focused on how your business can measure and understand the value of content marketing, and it's not just because I'm passionate about the subject matter (though I am). It's also because Wishpond (the company I work for) builds tools which help you monetize your content marketing efforts. 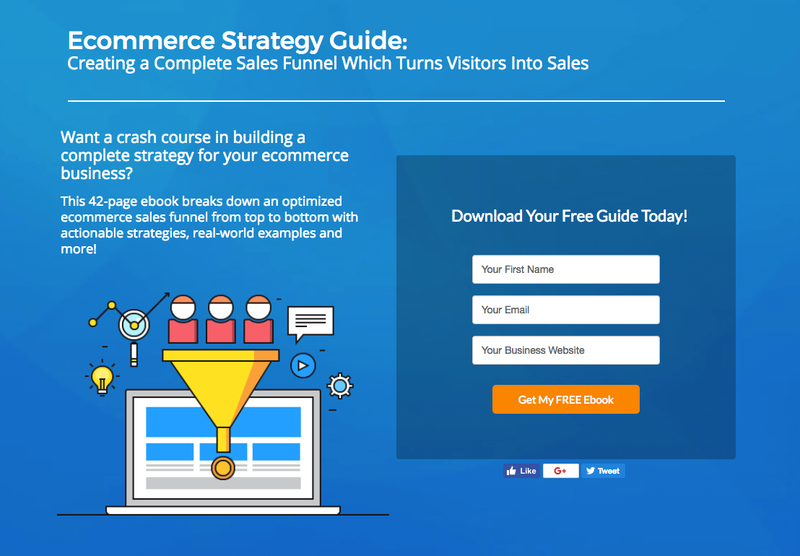 We make creating an ebook landing page, blog subscriber popup or email newsletter easy. I want to attract readers who care about that subject in particular - readers to understand the value of content marketing and understand (as well) the importance of having a good marketing tool working behind the content. Key Point: When I create good content, it attracts good traffic, because only people who care about our product care about the subject matter I write about. When your content is awesome, you can build a community around it. People who get value from your content (whether it's educational, entertaining, inspiring, or any other adjective) will keep coming back, keep commenting, and keep sharing with their friends. This engaged audience is invaluable. Yes, many of them may become loyal customers, but let's put that to the side for now. Their value is in their enthusiasm. Their commenting on your social media posts encourages other people to do so. Key Point: An engaged audience begets an engaged audience. This is the true value of content marketing, by the way. The organic nature of it. There's a reason we talk about content as "evergreen," or "growing" your subscribers. Good content grows naturally: popularity drives popularity; subscribers drive more subscribers; awareness drives awareness. This type of article, though not related directly to their product, focuses on a subject matter their target market (middle-class males) cares about. Key Point: The example above is a valuable piece of content. It's also a piece of content which increases trust. That trust means that when, down the line, a prospective customer sees an article from Harry's about how they need to start moisturizing (with AcmeGel©!) they trust them. If you want a complete breakdown of how an ecommerce business like Harry's can find success with content marketing, check out my recent article, "An Honest Guide to Ecommerce Blogging." Content marketing isn't all top-of-funnel, though. It's more than traffic and awareness. This section will cover the value of content marketing in terms of real-world, concrete, dollars and cents. One of the key objectives of content marketing is lead generation - getting the contact details of your readers so you can send them emails which educate them about your content's subject as well as the value you can deliver through your product. Email is still a crucial component of marketing online. It has open and "read" rates significantly higher than social media, and people are far more likely to buy from an email than they are from a Facebook post or Tweet. The second easiest is with gated content. Check out my "Complete Guide to Gating Your Content," as well as "How to Create Beautiful Gated Content Without Graphic Design Experience." Try to personalize as much as possible. 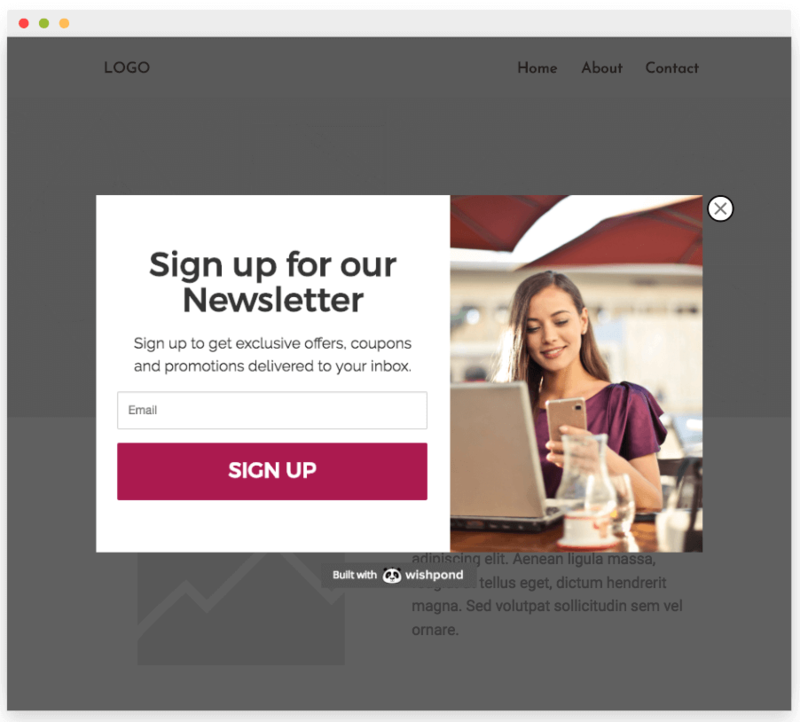 Avoid generic lead gen prompts in your popups. If your readers are on an article on Fall Fashion or the value of a CRM, show them an offer related to that subject. If using popups, give people a clear option to quit out (otherwise you risk annoying readers). No matter what lead gen tool you use, keep your form fields minimal. The more fields, the lower your conversion. That said, be sure you're getting the information you need to turn these leads into sales down the line. If using landing pages, keep your messaging short and sweet. Use bullet-point lists or short paragraphs to communicate the value of downloading your content or subscribing. Check out our lead generation microsite, with 1000+ Lead Generation Strategies, Ideas, Best Practices & Examples. It's the real deal, and totally free. If you're an ecommerce business putting energy into content marketing, you have it a bit harder than your B2B and SaaS friends. You don't have a complicated lead nurturing marketing funnel. If someone wants to buy a jacket, they go and buy a jacket. There is significantly less "education" involved in that purchase than there is in a multi-thousand-dollar business decision. That said, there are strategies we can implement to turn your content audience into customers immediately. 1. Create content which, in a subtle way, communicates the value of your products. For instance, that table I showed you above - showing the value of email marketing vs social media? The data was collated from a bunch of different sources, and then put together by a company with a vested interest in you believing email marketing is something you should invest in. Another example is from BarkBox, a popular dog product company with a great content marketing strategy. They wrote an excellent post on keeping your dog calm during the Fourth of July fireworks (timely, educational, targeting their target market - this type of posts hits all my content marketing boxes). Those are links to the products they are, oh so subtly, promoting. That product just so happens to be available if you click here. I've sold you on the value of generating leads, right? Did you know that Wishpond's software offers over two dozen tools to help you turn website traffic into leads? We've created an easy-to-use editor with industry-specific templates for popups, landing pages, contests, forms and more. The best way to learn more is to speak with a Wishpond rep. No obligation, just 15 minutes with a marketing expert. Content marketing is an incredibly valuable strategy to retain your customers - a strategy which (depending on who you ask) is between 500 and 1000% cheaper than acquiring a new one. This is just one of 7 "behind-the-click" videos they produced, targeting 7 different cities. Another example is (again) from the ecommerce company Harry's. Key Point: Content like this eliminates the "faceless corporation" feel. As soon as your existing customers can put a face to the name, or a name to the logo, it's harder for them to leave. And, if you're providing value, sending relevant offers to their inbox, and speaking to them like human beings, it's harder again. Hopefully this guide has given you something concrete you can grasp to justify content marketing. If you're just getting started, I'd urge you to reach out to the pros for help. There are hundreds of experienced content marketers (myself included) who would love to help you get started, totally free, simply for the love of the industry we're in. Let me know if you have any questions by reaching out in the comment section below!